Before last Thursday, I had never experienced a gamelan performance before. In fact I didn’t even know what “gamelan” was. I walked into the Olin Arts Center having no idea what to expect and left the theater in complete awe. During their performance on Thursday, March 28th, the Bates Gamelan Ensemble performed traditional Sudanese music as well as contemporary works with guest violinist Emilie-Anne Gendron. Thanks to the program provided by the Bates Music Department, I learned that “Gamelan” is the generic Indonesian term for set of musical instruments, but the word as its usually used refers to a traditional ensemble comprising of mainly bronze metallophones, instruments with metal “keys” suspended over resonators and horizontal “gong-chimes”, and vertically hanging gongs. In addition to these instruments, gamelan ensembles typically include bowed lutes called rebab, plucked zither called celempung or siter (depending on the size) and bamboo flutes. Gamelan began to be introduced to U.S colleges in the mid-twentieth century; UCLA and Wesleyan University were pioneers in creating some of the first gamelan programs in higher education. Bates houses the only gamelan ensemble in the state of Maine. Bates even has a Central Javanese gamelan, named Mawar Mekar (“Blossom of Inspiration”), which was purchased by the college in 2001. I was incredibly impressed by the level of detail and rhythmic abilities of the performers. Each performer played a different instrument and the layering of multiple sounds from multiple different instruments was increidbly enjoyable and beautiful to listen to. Beginning with “Homage to Pacifica,” written by Lou Harrison, the players worked in unison to create soft, light music that cast the audience into a spell. After the opening piece, the audience listened to traditional Sundanese gamelan music with a peice called “Gunungsari,” which was drawn from the traditional repertoire of the Sundanese people, an ethnic group occupying the western third of the island of Java. Being able to listen to traditional Sundanese before more modern works really helped me to see how gamelon music has changed over time. My favorite piece was “Transformation,” which was written by Frank Carlberg last year. I saw many modern traditions within the piece. When creating this song, Carlberg sought to adapt features from Mary Lou Williams, an American jazz pianist, arranger and composer who was known as the first lady of the jazz keyboard. After the first two pieces, the audience was treated to “Sycamore Canyon, Mvt III” from “Concerto for Violin and Gamelan,” a modern piece written in 2008, before the ensemble closed the performance with “Gonjing Miring,” which is a traditional Sundanese piece. Seeing and listening to the Bates Gamelan Ensemble was a lovely experience. It was great to experience the work of my fellow classmates who created amazing ensembles using traditional Indonesian musical instruments. Throughout the entirety of the performance, I was enthralled in the overlaying of different musical sounds and how they all came together to create one harmonious melody. My only qualm was that I wish the performance was longer! 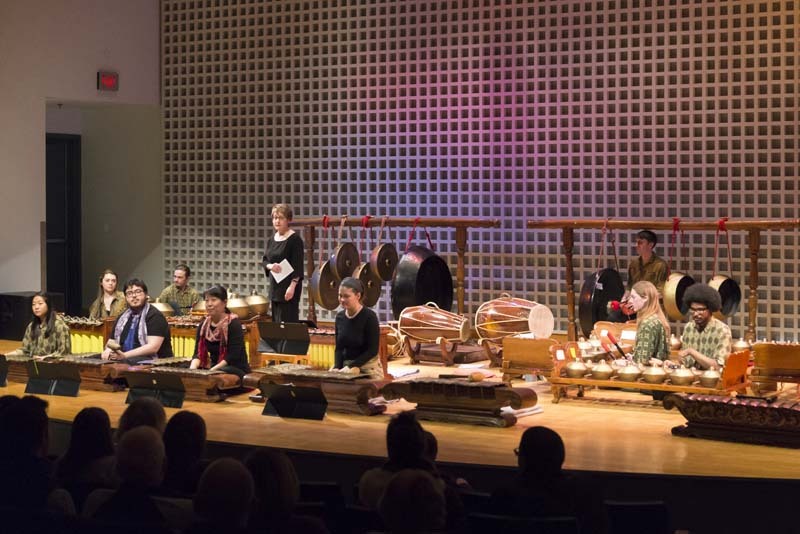 It is so incredibly special that Bates houses the only gamelan instruments in the state of Maine and that we have the ability to see or be a part of performances like these on our own college campus. I hope to attend many more gamelan performances in the future. As we chatted outside the lobby of Schaeffer theatre, senior and dance major Johanna Hayes greeted fellow dancers as they rushed to and from rehearsal. 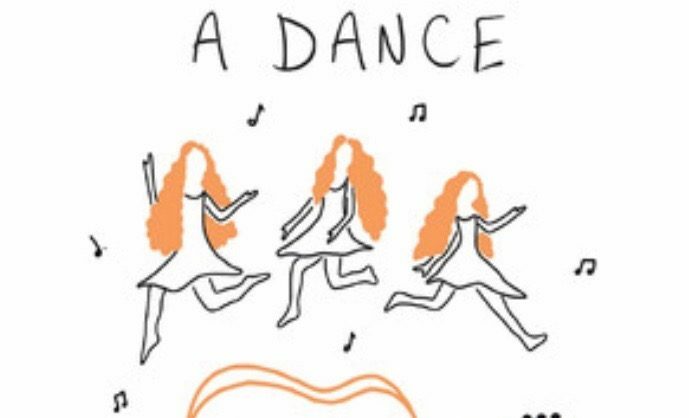 She reflected on choreographing her thesis, which was “a huge experiment.” “If it was successful or not, I’m not really sure yet,” she confessed.